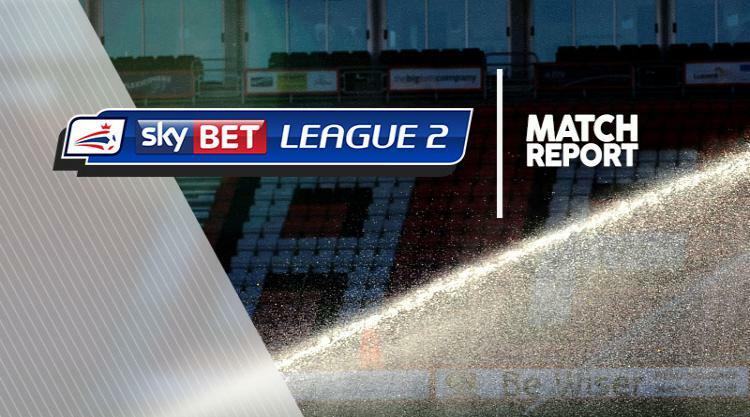 Danny Hylton's 26th goal of the season rescued a point for Luton in a tense 1-1 draw at Sky Bet League Two play-off rivals Mansfield. Alfie Potter's first goal for Mansfield gave them an interval lead, only for Hylton to reply for a result that leaves both clubs' hopes in the balance. In a first half of few chances both sides had decent penalty appeals waved away then, on 22 minutes, Krystian Pearce saw his header cleared off the line by Hylton. Mansfield were ahead a minute later as George Taft headed a Mal Benning cross back to Potter, whose first shot was blocked but buried his follow-up from 12 yards. However, after Benning had fired inches over for the home side, Luton were level from the spot within six minutes of the break. Taft handled as Hylton tried to knock the ball past him and the referee this time had no hesitation, Hylton coolly lifting the ball home down the centre. Hylton could have won the game but twice put good headed chances wide on 66 and 88 minutes.